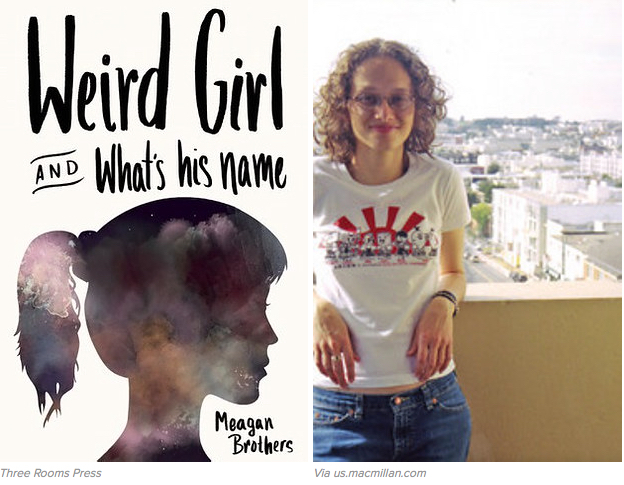 Buzzfeed has gathered the best young adult books for the fall and created this outstanding list of “17 New YA Books That Will Make Your Heart Happy.” We’re happy they included Meagan Brothers’ new novel, WEIRD GIRL AND WHAT’S HIS NAME (Three Rooms Press; October 13, 2015). This story follows two misfit BFFs, Rory and Lula, who’ve always confided in each other. But when Rory begins having an illegal affair with his older boss and Lula begins to question her sexual orientation, the structure they’ve built their friendship on is shaken. Readers who enjoy coming-of-age stories will enjoy this powerful novel. You can check out the full list of 17 new YA novels you’ll want to cozy up with this fall over at Buzzfeed.com. Booklist picks WEIRD GIRL & WHAT’S HIS NAME as their lead review of the day! 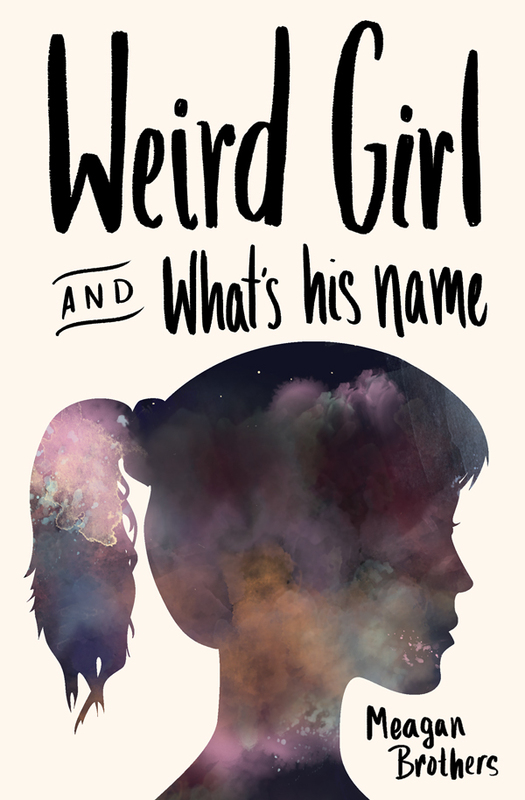 Congrats to Three Rooms Press and to Meagan Brothers, author of WEIRD GIRL AND WHAT’S HIS NAME (Three Rooms Press Trade Paperback Original: October 13, 2015; $15.95). Not only did Booklist give her forthcoming YA novel a starred review, they also picked the book as their lead review of the day, today (August 13, 2015). You may be a fan of Meagan Brothers already. Her previous book, Supergirl Mixtape, was an indy hit. Her new YA novel is a coming-of-age story for the twenty-first century. In the tiny podunk town of Hawthorne, North Carolina, high school geeks Lula and Rory share everything— a love of sci-fi and fantasy, a questioning of their sexuality, resentment toward the parents that abandoned them, an obsession with old X-Files episodes, and the feeling that they’ll never quite fit in. Lula and Rory have no secrets from each other; after all, she knows he’s gay, and he understands why she worships the mother that walked out on her. But then Lula discovers that Rory—her Rory, who maybe she’s secretly had feelings for—has not only tried out for the football team, but has been having an affair with his middle-aged divorcee boss. With their friendship disrupted, Lula begins to question her very identity, and when she disappears in the middle of the night in a desperate search for her long-lost mother, Rory is left to survive on his own. When Lula returns, neither she nor Rory are the same, and they are forced to make amends and move on from that summer, or risk repeating the mistakes of their parents’ generation. Meagan Brother’s piercing prose speaks to anyone who has ever felt unwanted and alone, and who struggles to find their place in an isolating world. In a small town in North Carolina, a close friendship between two eccentric high schoolers breaks apart, leaving a rift…Rory narrates the first half of the book and Lula, the second, and both voices are crisply and intimately drawn. Minor characters are equally vibrant, particularly Walter, Lula’s rugged but kind stepfather, and Seth, the school’s unexpectedly wholesome and gentle quarterback. The X-Files, the details of which both Lula and Rory lovingly recount, provides a strong common language and set of symbols throughout. Catch the full review here: Kirkus Reviews Weird Girl and What’s His Name.